Pharmacy Complete is a team of highly experienced and knowledgeable practitioners who all passionately believe that pharmacy has a significant contribution to make. We have an extensive network of associates who enhance our knowledge and capacity so that we can make a difference to almost any project in the pharmacy and pharmaceutical industry. 'You get the best efforts from others not by lighting a fire beneath them, but by building a fire within'. Deborah has thirty year’s experience within pharmacy and is a recognised pharmacy leader. She is known for being tenacious, passionate, committed and results-orientated. She cares immensely about people and quality in all that she does and continues to keep relevant by working with patients on a regular basis in a local GP pharmacy. 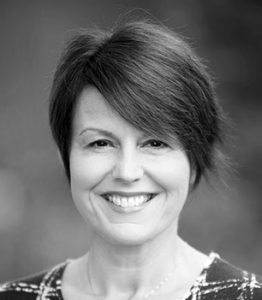 Deborah led the national, award-winning Healthy Living Pharmacy pathfinder work programme, initially project managing the acclaimed Portsmouth HLP pilot and she still advises and informs development of the concept nationally and internationally. Deborah has recently completed a term as an elected member of the English Pharmacy Board of the Royal Pharmaceutical Society. Determined to affect change in her profession, Deborah is calling for more women in senior positions in pharmacy and is founder of the highly successful Women in Pharmacy Facebook group with over 7,000 members. 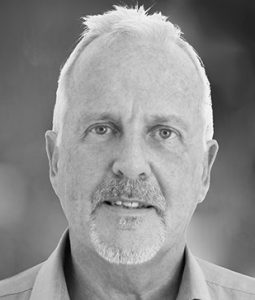 Mike has a passion and extensive track record for innovation in pharmacy and developing the evidence base for pharmacy interventions that improve the public's health and wellbeing. He is one of the primary drivers behind the Healthy Living Pharmacy concept. Mike has worked in the corporate world, established and run his own independent community pharmacy group, led various pharmacy organisations both locally and nationally, and now works internationally as a consultant. He continues to be an active, challenging and inspiring champion for the pharmacy professions and is a frequent speaker at national and international conferences. Gavin gets excited about helping people and healthcare organisations better understand each other through great design and targeted marketing. He has experience across community pharmacy, primary care and academia and has recently spent time building a multiple-award winning pharmacy company. An experienced pharmacist with a Masters in Graphic Design (a strange but very powerful combination), Gavin has a passion for helping the profession and all that surround it, better present themselves. Julie is a highly motivated learning & development professional, experienced in multi-national and not-for-profit environments with particular expertise in the field of pharmaceutical industry and pharmacy regulated training. Julie possesses excellent interpersonal and problem solving skills and is experienced in change management, the use of Lean Sigma tools and always has a process up her sleeve which does the job perfectly. Indi has over ten year’s experience of pharmacy across all sectors and has a serious (whilst being enthusiastic and having fun) passion for leadership and empowering individuals and teams to be the best they can be. Indi is an infectious and highly motivated character and a true believer that pharmacists can make a real difference to the healthcare world not just the pharmacy world. Gill is an outstanding market research professional specialising in medical, pharmaceutical and pharmacy research, particularly assimilating qualitative insights. She is a member of the British Healthcare Business Intelligence Association and has a lovely calm and engaging way which gets the best from people. Andrea worked as editor for 20 years on the Drug and Therapeutics Bulletin and loves making sense of complicated information, being skilled in critical appraisal of evidence, integrating different types of evidence with clinicians' views, and in communicating information in a succinct and practical way. She is now a leading source of independent information on veterinary medicines. Sara is a pharmacist with over twenty years experience in community pharmacy, primary care and the commercial sector. Most recently she has worked developing and delivering training, particularly in health improvement and behavioural change. Sara is passionate about community pharmacy and the contribution community pharmacy can make to the national public health agenda. She is also a qualified florist, specialising in weddings and events.